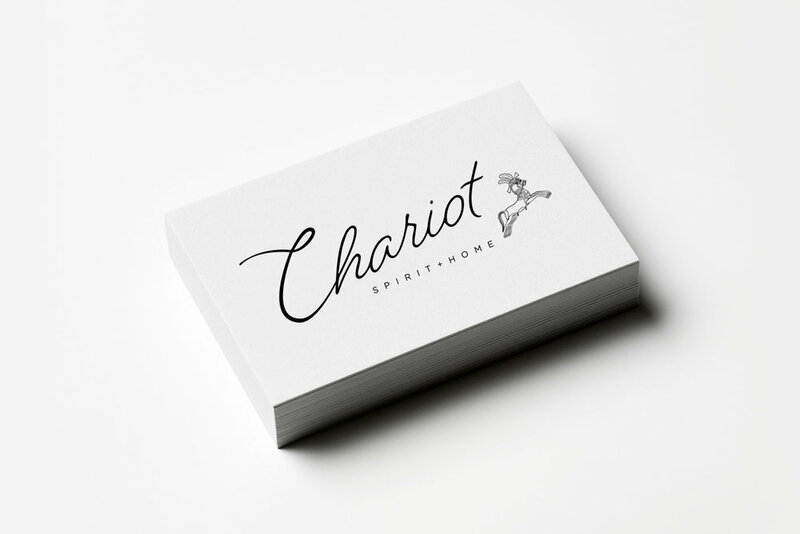 CHARIOT is part housewares retailer, part interior design studio, and part spiritual workshop located in Astoria, Oregon. They wanted to build a brand that honored the past but also felt timely, mixing the old with the new. This logo design did just that – blending classic ornate details into a modern, minimalist design. I created a custom script font and illustration with the intention to work together and separately in various ways across a wide variety of applications.